The MLK Dream Team encourages all citizens to register to vote and to VOTE, just as Dr. Martin Luther King, Jr encouraged all citizens to participate in civic engagement. The MLK Dream Team supports the efforts of Open Door Community Health Services and the League of Women Voters in registering citizens to vote at community events. President Lyndon B. Johnson and Dr. Martin Luther King Jr. shaking hands. 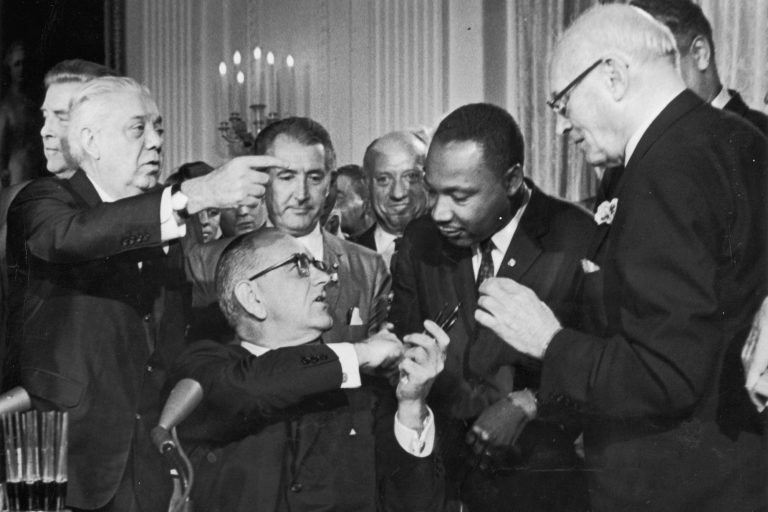 Johnson signed the Civil Rights Act of 1964 and the Voter Rights Act of 1965, legislating equality for all races in daily life and at the voting polls.